Remarks: Field grown tomatoes usually have more flavour than hot house varieties. The most popular field variety is the "Beefsteak" tomato. Two methods of increasing sales are...adding the blurb “BEEFSTEAK” to your retail signage and offering cut samples. Shoppers can be very picky when it comes to tomatoes. Field tomatoes typically are not as attractive as hot house varieties but are still the favourite. Proper handling will definitely reduce your shrink and ensure steady movement. Displaying: Always dummy displays to keep product looking attractive, this minimizes shrink, reduces culling and keeps tomatoes looking fresh. 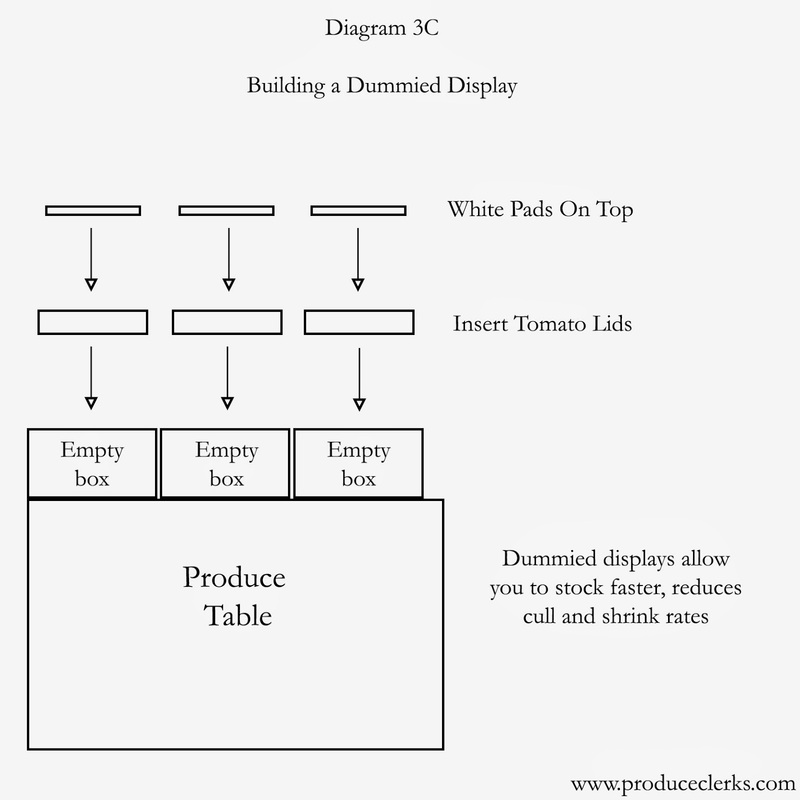 Dumping product onto displays will damage tomatoes, slow sales and cause you headaches later on. Proper rotation should always be part of your routine. Tomato stems cause skin punctures, this occurs more often with hot house varieties but still be careful. Tomatoes are normally coated with wax or vegetable oil to extend their longevity, but displaying under hot light fixtures can make them feel greasy and slow sales. Cull soft, waxy or wrinkled fruit, bag it up and sell at a discount. Overripe product can be sold in large bags or cases as “Canning Tomatoes”. Receiving: Review “Tomatoes Overview” on page 157-159 of The Produce Clerk's Handbook for a more in-depth look at tomatoes. Open the box of tomatoes and inspect around the stem bowl…if there are signs of mold, decay or wetness, rapid breakdown of the remaining fruit is usually imminent. Press your thumb gently against the shoulder skin to ensure it does not peel away. Check for softness, chilling and blight (yellow or green spotting). 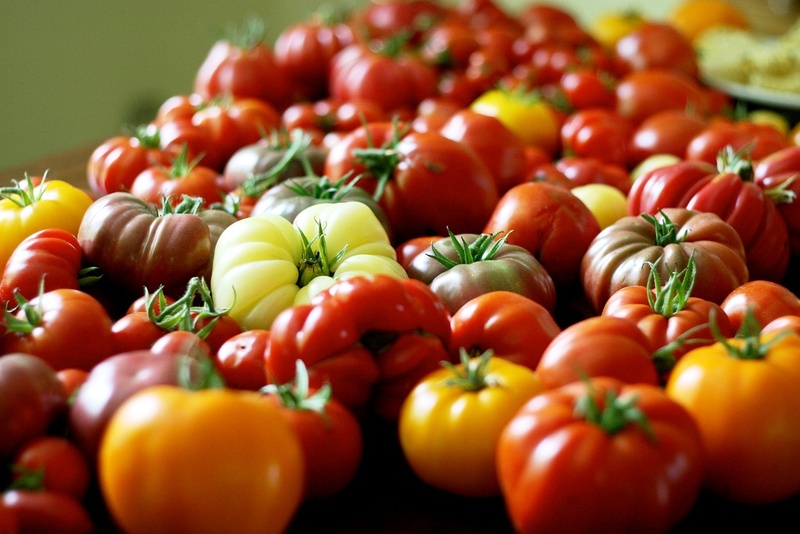 Reject waxy or greasy feeling tomato shipments and shipments in general with an accumulation of more than 10% defects. Unripe tomatoes should be stored with their lids closed. Store at room temperature to quicken ripening. Wrapping pallets with plastic pallet wrap will also enhance ripening.